Growing up most of the women I saw in synagogue did not wear kippot (head coverings traditionally worn by men in Judaism), tallit (prayer shawls) or tefflin (phylacteries, described more below). And when I saw the odd woman who did, I thought she was just that, odd. So, you can imagine the discomfort I felt experimenting with wearing this ritual garb when I started thinking about becoming a rabbi. Wearing a tallit was fairly easy. I bought a beautiful multicolored tallit and loved the feel of enveloping myself in it. It felt a bit like God was reaching out and giving me a hug. Wearing a kippah was a bit harder. It was not physically uncomfortable, but I hated how it messed up my hair. Vain, I know, but true. I just did not like the way it looked. Wearing teffilin was harder still. I was given a gift of teffilin which were way too big for me. They had large black leather boxes and thick black lengths of leather that I needed to wrap around my arms. They were uncomfortable to wear. Having written my undergraduate thesis on Jewish Feminism, I knew that women had fought for the right to wear these ritual objects. I wanted to embrace the practice of wearing them. But even after years of trying, I still feel ambivalent about wearing a kippah, and have stopped wearing teffilin entirely. These ritual garments are important symbols with in Judaism. A religious Jew defines him or herself by how he or she dresses. In more liberal circles, a rabbi often stands out in the crowd by wearing a kippah or a tallit. The donning of these garments for prayer is a meaningful way to state ones intention to pray and forge a deeper connection to God. Some Jews believe that wearing these garments is a command form God that they must follow. There is great historical and emotional weight attached to the wearing of these garments. I struggled for years to become comfortable with my own practice of wearing a kippah and tallit when I pray, but not wearing a kippah at other times as many of my colleagues do. In addition, since I found teffilin to interfere with my ability to pray rather than to enhance it, I no longer wear them. I am now comfortable with my decisions. But what do I teach my daughter? She attends a Conservative Jewish day school. Boys are required to wear a kippah. Girls are not required to cover their heads at all. When they reach bar or bat mitzvah age, boys are required to wear tallit and tefillin. Girls have an option to do so. Most of the girls in the younger grades do not wear a kippah, and most of the girls in the older grades do not wear tallit or tefillin. You might think this practice echoes my own, so I am happy with the school’s policies. But I am not. I am frustrated. I am caught in a bind. This policy which is echoed across the Conservative Movement’s synagogues, camps, and schools (both afternoon and day) does not sit well with me. By not requiring the same practice from the boys and girls we are sending them a message that God expects different things of them. We may even be sending the message that girls are less than boys because less is expected of them. To have fully egalitarian practices we must have the same standards for both boys and girls. And yet, boys and girls are different. 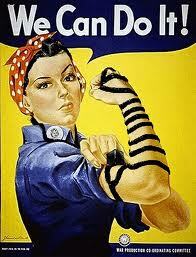 Like me, many girls may not want to wear a kippah. So let’s get creative. Why not make the requirement for some kind of head covering, which is after all what the Jewish law calls for, but not specify what kind of head covering. The shape of a kippah is not required. Why not let children choose between, a kippah, a hat, or a head band or scarf? This would let boys and girls adhere to the letter of the law while allowing for personal expression. Why not require all to wear a tallit, and have them make or buy one of their own choosing as many already do? Why not require teffilin for all and bring the children shopping to choose larger or smaller pairs. And why, oh why, can’t they decorate them in some way to make them more appealing. I have studied this. I know the letter of the law calls for them to be plain black leather. But if we want our children, both boys and girls to connect meaningfully to this traditional practice, then we need to figure out a way to make it more inviting for them to do so. Otherwise, make this practice optional for all. I believe wearing ritual garb to be important and meaningful on many different levels. But I also believe in egalitarian practices, especially when they send messages to our children. The time has come for the Conservative Movement in particular, and other Jewish communities as well, to address this issue of ritual garb for boys and girls, men and women. One practice does not necessarily work for all. Let’s make a variety of different kinds of practices normative. The original goal in wearing ritual garb is to deepen our own spirituality and connection to God, or whatever you call the force in the universe. Let’s return to that intent and see what new interpretations and practices grow out of that, and let us welcome them.